I love things that can be made in advance for brunch celebrations. These were perfect because they were portable and delicious. 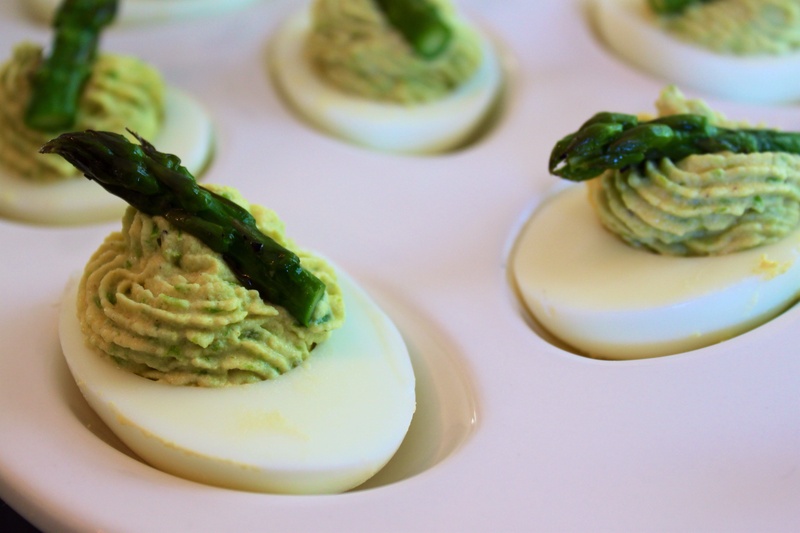 I always forget how much labor is involved in deviled eggs -but these are so worth it and perfect for the season! Hard-boil eggs using whichever method you prefer. Roast asparagus spears until bright green and tender. Cut 1/2-inch off the tips of each spears. Puree remaining asparagus in food processor. Smear on a paper towel to remove some moisture. Peel your eggs. Cut each in half lengthwise . Remove the yolks and add to a stand up mixer. Whip together remaining ingredients and asparagus puree. Season. Spoon our pipe the mixture into each egg half, or use a piping bag with a star tip for a fancier presentation. 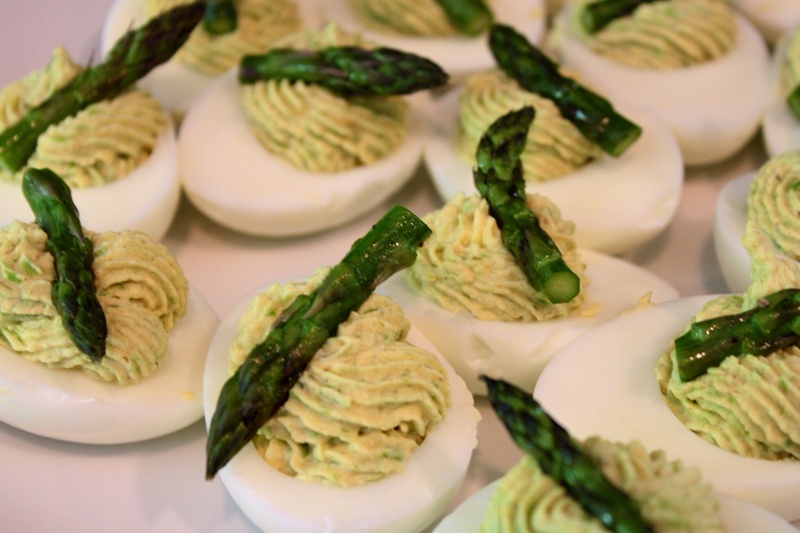 Decorate each stuffed egg with a reserved asparagus tip (you’ll be a little short of what you need), and the remaining with the extra shallot, scallion or chives. Wrap tray in plastic and keep in fridge until ready to serve.